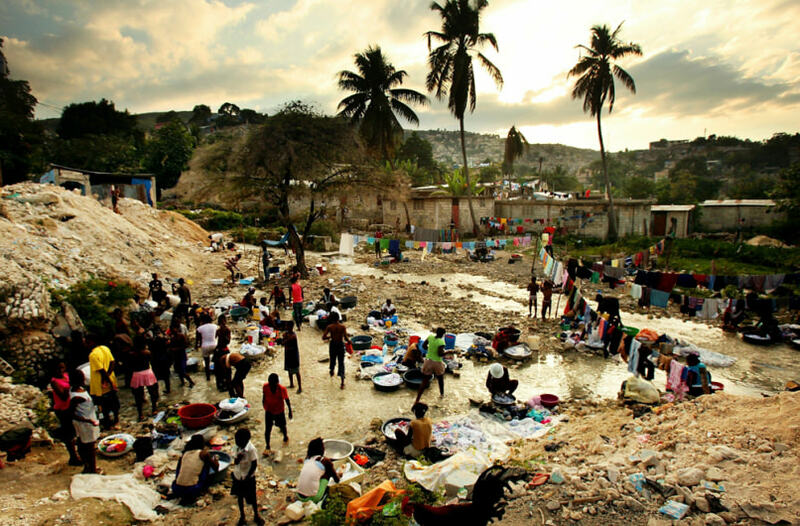 Year 'was hell for us': Will Haiti be rebuilt? Haitians bathe and wash clothes in a stream on Saturday in Port-au-Prince, Haiti. The one-year anniversary of the Haitian earthquake that killed more than 200,000 people is Wednesday.